The Ibotta Any Brand program allows users to earn cash rewards on their favorite brands with fewer restrictions. Ibotta, a cash-back shopping platform and mobile application, announced the release of its “Any Brand” program, allowing shoppers to earn cash rewards whenever they purchase key items on their shopping lists, regardless of the brand. The Any Brand program is an expansion of an original concept Ibotta released more than one year ago, which related specifically to milk. With the system, users can save money without being forced to buy only coupon-specific brands. This Any Brand functionality is similar to that of other apps, including Checkout 51, which also allows users to earn cash back on a limited number of “any brand” products each week. With Ibotta, however, the selection is larger, giving users more chances for cash back at over 150,000 stores around the U.S., including Walmart, Target, Kroger, Rite Aid, Costco, Whole Foods Market and more. When browsing their favorite stores, users unlock rebates by watching video ads, browsing sponsored recipes, learning facts and more. Once the rebate is unlocked, shoppers confirm that they’ve purchased the item(s) by uploading photos or scanning QR codes on their receipts, depending on the store. For example, users can earn up to $0.30 back on any box of cereal, 12 ounces or larger, by watching two $0.15 video ads and uploading a picture of their receipt after they’ve made the actual purchase. In addition to these users’ choice rebates, the app comes stocked with dozens of additional, brand-specific rebates across a variety of departments, which function in the same way. 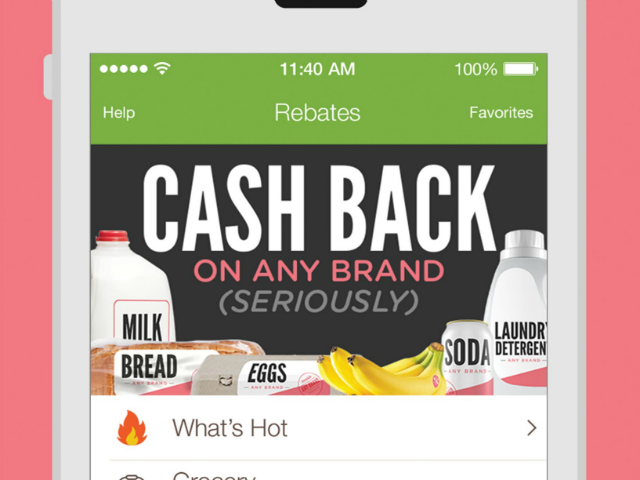 Since its release in 2012, Ibotta has delivered more $25 million in cash rebates to users. Ibotta is available for free download on the iTunes App Store and Google Play.